New Delhi, May 8: There is a huge nexus among corporate hospitals, pharma companies and doctors who engage in exploitative practices called ‘target system’ and ‘cuts’ with the motive of earning profits, claims a book by doctors, who broke their silence on rampant malpractices. In a chilling narrative, the book ‘Dissenting Diagnosis’ says ‘packages’ offered by multispeciality corporate hospitals, incorporating a range of tests under ‘master checkup’, not only drains an individual of his hard-earned money but the collected samples go down the ‘sink’ as well. The book launched last week lays bare the rot in the medical sector as it gives first person accounts of patients, doctors and pathologists from across the country. 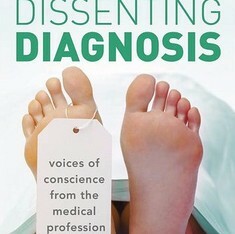 In the book, a pathologist, who did not want to be named, explains that sink tests essentially means samples collected from patients are just thrown into the wash basin without testing as doctors prescribe such tests, which by mutual understanding, are “not actually carried out” by the pathologist. Dr Arun Gadre and Dr Abhay Shukla, the authors of the book, have also extensively documented other exploitative practices such as the ‘target system’, the concept of ‘cuts’ and how corporate hospitals work like industries with the sole motive of the ‘shareholders’ being “more and more profit”. Gadre and Shukla write how a senior super-specialist urologist had to leave a corporate hospital because its young MBBS CEO castigated him for not performing a particular operation for removal of a kidney stone where there was no need for any such procedure. “These hospitals run on a perverted concept. Their only purpose is to satisfy the interests of their shareholders. The more profit the better. They go on prescribing needless investigations and surgeries,” Gadre says. Both the authors, associated with Pune-based SATHI which specialises in policy advocacy related to health care, underline the need for a radical “restructuring” of the Medical Council of India (MCI), which they say has turned a blind eye to the systemic assualt on ethics in the medical profession.